Most of us enjoy hearing the words, “Till death do us part,” during a wedding ceremony, where the new couple is floating in bliss and envision being by each other’s side until death separates them. From my perspective, I see people who have a very passionate relationship with their material possessions, sometimes more so than with each other. It almost appears that they believe they can take their possessions with them when they leave earth. For over two decades, I have tried to figure out why people have such a difficult time letting go. Often it’s the Depression Era generation that has accumulated the most stuff. Their parents did not have much and probably possessed mostly utilitarian items during that era. The Depression Era generation absorbed what their parents owned. The Boomers have much more stuff to deal with, but they have only so much space to keep things. Here are some thoughts on why people hold on to so much. Where do you see yourself in these thoughts? You just never know when I’m going to need this. There are so many uses for this possession. If I hold onto it long enough, it will become valuable. It is already old, so it must be valuable. I did without as a child; I will not do without again. It was a gift and I will honor the giver by keeping it. The more I leave the kids, the more they will have. I worked very hard for these things and I will pass them down. The things bring comfort and familiarity. All these things make me feel close to my parents. My children will feel loved by me when I’m gone, because I left them all these things. I’m too overwhelmed to let it go (emotional attachment). I’ll let the kids deal with the stuff after I’m gone. Here’s the part where I try to put my clients at ease. When in doubt, always have the contents of an estate viewed by a true professional prior to distributing or selling contents. Most times, the heirs are not surprised to learn that much of what mom and dad amassed doesn’t have much value. Some children feel the stuff may be “junk” and are pleasantly surprised to find that some pieces have significant value. Family stories through the years can add to the anticipation that grandfather’s chair is valuable because it is old. Yet, we know age is not the only determining factor of true value. For every reason listed above, there is a counter-reason to let it go. Many of your heirs won’t take as much as you would like to give them. Boomer children already have houses full of stuff; adding more will only fuel marital strife. Your younger generations appear to want very little but cash assets. Leaving a huge burden for your children should not be your legacy. Much of your stuff will be out of style and not genuinely desired by your heirs. Your heirs may have different lifestyles and your stuff won’t fit those styles. Many are trying to simplify their own lives, not add more stuff to clean and hold. If you sell your stuff now, you can purchase other things you would truly enjoy. These items were treasured by someone else, but not you and not now. Holding on to possessions, for the sake of not wanting to let them go, can leave a negative impact on those left behind. Gifting valuable items now is a beautiful way to pass along your treasures and watch your heirs enjoy them. Making plans for the distribution of your possessions, while you are still in control of these decisions, is the best plan of action. Personal property and heirlooms — we spend a lifetime accumulating them, inheriting them, caring for them, collecting them, and talking about them. But we rarely know the values and we rarely make a plan for what happens to our personal property. Here’s my list of the biggest mistakes. Hopefully, you don’t see yourself in this list. 1. Parents don’t share final wishes with their children. They don’t share vital documents, especially the will/trust, or at least tell the children where they are located. Children are then left to guess the parent’s wishes, which is a very bad thing. Children live with guilt for the remainder of their lives, wondering if their “guess” was what mom and dad would have wanted. What a heavy load to carry! 2. Parents don’t make a plan for personal property. They don’t create a master list, or ask what the heirs would like to have. They definitely don’t gift any of their possessions while they are still alive. 3. Parents know that death and infirmity will certainly come, but they do nothing to anticipate or minimize fighting after they are gone. 4. Children have opposite opinions because the parents didn’t tell their wishes to the children. This starts fights and feuds that can last for the remainder of their lives. 5. Children are hasty with parents’ possessions. Heirlooms with significant value can end up in a dumpster or yard sale. They decline to hire a professional to ascertain what’s valuable before distribution and disposal. 6. Children have a tendency to give away, throw away, or donate before they know the worth of those items. Be leary of unscrupulous people who ask for a “memento” and go for the most valuable item, which you may or may not have valuated. Did you see yourself in this list? If so, now is the time to take action and resolve these issues. You don’t want to become one of The Estate Lady’s sad stories! While the sentiment is a good one, we all know human nature a little too well. The trouble is, “one day” rarely comes. I’ll get to that later. I’ll look into that in the new year. It’s not a priority right now. It’s fascinating what we professionals notice in estates. We see a distinct similarity in almost all of the estates we go into, especially if the estate belonged to an elderly loved one from the Depression Era. The attics are usually full; interesting that 85% of them are full of things that really should have been disposed of 30+ years ago. By the time we get into these attics to clear them out, the books are rotted and have been gnawed on, anything cardboard has pretty much disintegrated, clothing either smells like mildew or falls apart in our hands, or we find items that have long since been obsolete and no one has any use for them. If items of value were stored in the attic, which is a big no-no, chances are good they have been damaged and the value greatly diminished. This is not always the case, but generally what we find. On very rare occasions, we find treasures hidden up there too, but they have been long forgotten and the family most likely was never told about them. This is accurate on many levels. Time stops for no one. We all have the best intentions of cleaning out the shed, garage, closets, cupboards. But if you continue to procrastinate and something happens where you or your loved one is incapacitated, it truly leaves a burden for the ones you leave behind. A bigger burden than you realize. If you have had your sights on a project around the house which includes clearing out some stuff, make sure you know what it is worth before you sell it or give it away. It is better to clear out the clutter now, so you can feel better and not worry later. We all could probably come up with numerous excuses. With spring coming, it’s time to just do it! When I pack for a pleasure trip, I only allow myself to bring one piece of luggage. I traveled for many years and made a habit of running for my plane in high heels and skirts (way back when). Now that I am older, I do everything in my power to lighten my load, wear sensible shoes, and give my aching back a break. I can’t wait to check my bag, sit down, and relax. I think many of us lug around our emotional baggage on a daily basis and never bother to “check” it. Maybe we don’t know how to, or maybe we just forget, so we end up dragging it with us wherever we go. It gets rather tiring, doesn’t it? In my business of helping clients sort through estates, after a loved one has moved to assisted living or has died, I see many children/heirs carry a lot of baggage with them, to the point of personal detriment. I realize that we are not at our personal best when these situations occur, but even after months and years of not making proper decisions, we still carry our emotional baggage wherever we go. It then becomes a monkey on our back, and we get angry and even resentful. It chokes our spirit because we don’t know how to heal it. This emotional baggage comes from a place of not dealing with our stuff ahead of time, before the loss. Not healing wounds that could have been healed. We forget to forgive ourselves for whatever is eating at us! Besides all that, I see clients feeling guilty and taking possessions they don’t really want. It only means we have more to carry, or more for our children to carry. Life is hard enough. We don’t need to lug around someone else’s sentiment or prized possessions. That was their desire, not ours. 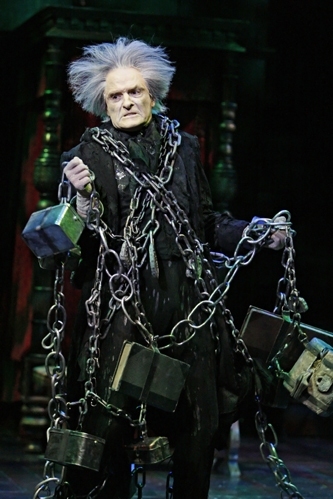 On some deep level, we must consider it our penance to drag around this baggage, like the ghost, Jacob Marley, in “A Christmas Carol” showing Scrooge all the heavy chains he must now carry, due to the choices he made in life. It doesn’t have to be like that; release yourself! I see many children/heirs carry a lot of baggage with them, to the point of personal detriment. Keeping too much stuff can cause divorce, tension, fighting, resentment, and anger among our still-living family. It’s just not worth it! Some would argue that everything they kept was sentimental, but you can’t squash mom’s household of stuff into your already-full household of stuff and expect everything to be ok. There is only so much you can keep; it should never cause strife among siblings, spouses, or children. Holding on to grandmother’s or dad’s possessions are not a mandate, not something you have to do. It’s something you want to do. Seriously edit your selections as you do. If in doubt, listen to your inner voice and pass on the item. Take a photo of it and pass it on. Don’t be pushed, nudged, guilted, obliged, forced, or coerced by any person, any memory, any ghost, or more importantly, yourself. Treasure is in the eye of the beholder. What one person holds dear, another wants nothing to do with. This is true between elderly parents and their middle-aged children, and even grandchildren. The Depression Era generation doesn’t let go of much. They take great pride in their possessions, especially the ladies with their ornate silver plate pieces, painted china, and etched crystal that they cherished in another time and place. We find a ton of handwritten notes intended for those left behind. We find them tucked inside vases, taped to the back of china or paintings, taped under sculptures and figurines. We find loose notes in desk drawers. Sometimes, we even find the notes laying right where the author left them before being struck with infirmity or death. These notes are meant to guide the loved ones after their death and they often include a myriad of information: the history behind the item, the name of the person they are leaving it to, and my personal favorite … what they think it is worth. Many of these notes have yellowed with age and some are barely decipherable. To complicate the matter, this particular generation has a tendency to change their minds frequently, often creating multiple notes with mixed messages (probably depending on who ticked them off most recently – according to the children who read the notes). It is also possible they may forget and start all over. These items were never distributed. They were never distributed because no one wanted them. They ended up in my hands to sell for the family and they will split the proceeds. Do notes help? I think sometimes they do, especially when they offer personal history and IF you want to keep these items. Notes can also be removed or taken by unscrupulous heirs-to-be, and often we find more than one version of their notes, which claim different people can have the same item. How do you handle that one? You write a formal addendum or document to place with your Will or Trust, and make sure there is only one copy, not multiples. Ask your attorney how to do this. Better yet, consider giving it away or selling these items, if the children don’t want them, before any of this takes place. From my experience, many times the intentions of these notes are never carried out. You can have the best intentions but if they are not carried through, it’s a moot point. If you want someone to have somethings special of yours, give it to them while you are still able to do so. Somewhere along the line, we have to break the habit of waiting until someone is “gone” to deal with all of this. Granted some people prefer it that way, but more and more, we are seeing a trend of people giving away or selling their items before they pass, to make it easier on their loved ones left behind. Personally, I think the best notes we can leave behind are thoughts of joy and love, and not necessarily who gets what and how much items are worth. My favorite “possession” from my late mother is a letter she sent me stating how proud she is of me and how I have chosen to serve people, and may God bless me abundantly for doing so. It is a deeply personal note and one that I will always cherish. I would gladly let go of the material stuff I inherited from her, for this one note and memories of happy times. That’s the REAL inheritance!